1) Course sites will now be hosted on an academic-year instance of Moodle. The creation of course sites, as well as faculty and student enrollments, will be synced with the Banner system, similar to how the process had been done with Blackboard. Note that student enrollments will be added several weeks prior to the start of the semester. 2) A separate Moodle server will be available for departmental, sandbox, and other non-course sites ("community Moodle"). Those sites will be created upon demand. We will make available cohorts, e.g. site-wide groups, which can then be manually enrolled into a site; individual Manhattan College users can be manually enrolled as well. Examples of cohorts include students by major or program, full-time faculty, adjunct faculty, etc. Note that cohorts/groups will be available for manual enrollment shortly after June 30. Note that this instance of Moodle is an early version of Moodle: 2.1. Moving files from Blackboard to Moodle is a bit of an art, as there is not a good one-size fits all approach. There are several approaches for extracting materials from Blackboard for reuse in Moodle, and Kim Woodruff has been working with faculty and staff over the past year to assist users in setting up sites in Moodle and transferring content from Blackboard to Moodle. Kim has also created a Training Course available in Moodle which contains instructions and best practices. Copy Files to Collection is another Blackboard Utility. This copies documents/files uploaded to Blackboard Content Areas to a folder in Blackboard Content Collection. A package containing the folders can then be downloaded. This approach maintains the original folder structure - and is readily usable with one's Google Drive. 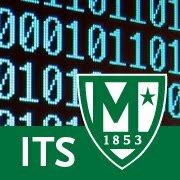 Manhattan College has a license for Respondus - a tool for creating and managing tests. Also provides access to publisher test banks. This a great way to transfer tests from Blackboard to Moodle. If you need assistance in making the transition from Blackboard to Moodle, please contact Client Services. Get Ready for the New Google Groups!